I just received my very first Ipsy Glam Bag last week. So I thought that I would do a little unboxing and review for you all. I was so excited when my mail carrier handed my bright pink envelope! The theme for this month’s bag was “Hot Summer Nights” and the bag is a super cute silver bag with little beach umbrellas. So what was in my Glam Bag? A deluxe sample sized Joy Inducing Hand and Body Lotion from Not Soap Radio. This is a really nice hand and body lotion filled with a sweet lemony goodness scent that is not too overpowering. 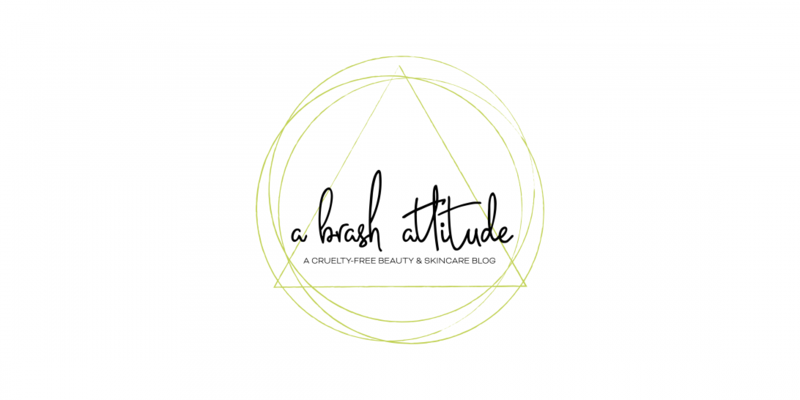 I’d never heard of this brand before, and was happy to see that they are cruelty free, as well as being free from parabens, sulfates, and phthalates. A single shadow from the Balm from their Meet Matt(e) Trimony collection in the shade Matt Muskowitz, a deep plummy shade. I’ve really been into matte shadows these days, and was lamenting that I didn’t own very many mattes, so this is a great addition to my single shadow collection. I received a makeup brush, which thankfully wasn’t jammed into the makeup bag because the bristles would have gotten crunched. This brush is from Sedona Lace, and is brush EB13, a synthetic blending brush. This is a nice brush – I love adding to my brush collection. Another cruelty free brand. A full sized Banana Setting Powder from Bellapierre Cosmetics! To be honest, I was afraid of this powder at first because it looks SO VERY YELLOW. But it blends in flawlessly! I’ve used it for setting my undereye concealer. This setting powder is super silky. Another cruelty free brand. The final product is a deluxe sample sized tube of the GravityMud Firming Treatment Mask from GlamGlow. I only tested this one on my wrist. There is no way that I could EVER use this on my sensitive facial skin! I’ll be passing this one on. This product is not cruelty free. All in all I really liked four of the five items in my very first Ipsy Glam Bag! I was super happy that nearly everything in my bag was cruelty free! If you get the Ipsy Glam Bag, were you happy with yours? Disclosure: I was gifted a free Ipsy GlamBag from a friend, but I had to pay for the shipping to Canada. Ooh! Nice bag! I am always excited about the brushes in mine. I was pretty happy with my first bag! Looking forward to seeing what I’ll get in the August bag. Me too! It’s fun to look forward too especially because I think it’s the best value bag. Oooh your first Ipsy bag! I’ve seen various combination of items for the July bag and I think you got the best products. Except for the Glamglow mask… ugh, that stuff should be banned. I wish I’d gotten the Too Faced Hangover Primer – I never did find my little sample that ran away! But yeah, I’m super happy with nearly everything. GlamGlow is so not for me, it melts my skin. That is too bad that they don’t ship to Mexico. Are there any beauty subscriptions that you do subscribe to? How exciting! I wish ipsy was available in NZ, I would love it! The shiny pink bubble bag looks awesome! The Glam Glow mask is a cute little tube and sounds really nice, can’t wait to read what you think of everything! I was excited when my mail carrier came to the door with the bright pink package! Very fun! Ohh I want!! Great post! Nice! Love the bag and packaging and the products seem nicely curated. Loving that deep plum eyeshadow. I can’t wait to get the August bag so see what I get!